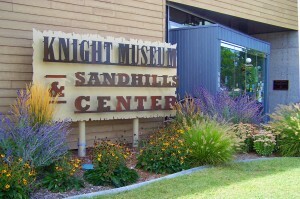 Knight Museum Mission Statement: "The Knight Museum & Sandhills Center will continue to preserve, honor, and educate others about the history of Alliance and Western Nebraska and about the Sandhills pioneer spirit." The museum opened in 2004 to honor all of those who have served our great country. See displays of varied military items, including firearms, flags, helmets, gas masks, medals, uniforms and accessories necessary to the every day survival of those who have given of themselves for this country. 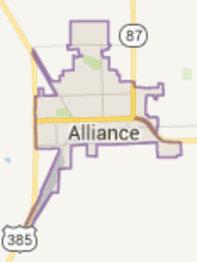 Displays range from the Indian Wars, WWI, WWII, the Alliance Air Base, Vietnam, Desert Storm and Iraqui Freedom.